President Barack Obama got a lot of laughs at Saturday night’s White House Correspondents’ Association Dinner, but at least three people weren’t laughing after the event. The Jonas Brothers were reportedly sulking at an after-party because of one of the president’s jokes, according to the Washington Examiner. "The Jonas Brothers are here," Obama said during his speech. "They're out there somewhere. Sasha and Malia are huge fans. But, boys, don't get any ideas. I have two words for you -- predator drones. You will never see it coming." The singing trio talked to the Washington Examiner’s “Yeas & Nays” column afterward. 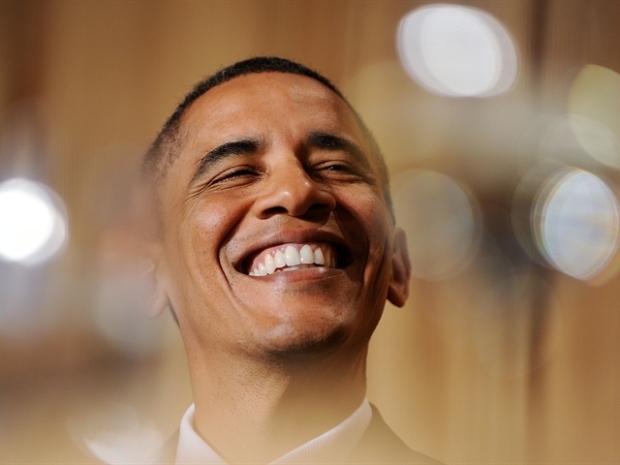 "I had my heart set on the Nobel Prize -- for physics," Obama joked. “We’re not that old,” Nick Jonas told the column. “Seriously, we’re not pedophiles,” Joe Jonas added. The Jonas Brothers aren’t the only ones who Obama threw jabs at that evening. He also joked with Vice President Joe Biden, Massachusetts Sen. Scott Brown, and the “Tonight Show’s” Jay Leno.